A Flexible 1 Light White Primed Door with Clear Glass. The Pattern 10 glazed door allows for the maximum amount of light to flow between rooms through it's large central pane of clear glass. A genuinely flexible option that not only complements the rest of the Pattern 10 range but also any internal white primed door due to the simplistic nature of the design. 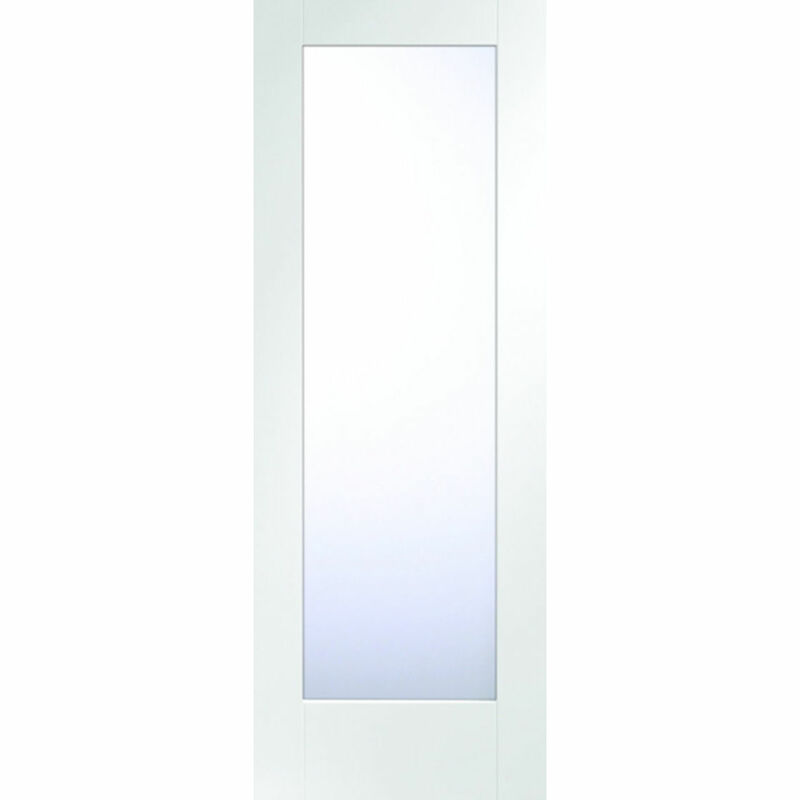 Pattern 10 Clear Glazed White Primed Doors are manufactured from engineered door components which can include MDF, particle-board and laminated timber. White primed doors are double coated, and ready for final finishing. Double coated and ready for final finishing. Paint N Peel System for easy finishing. In the interest of environmental concerns and improved performance, products contain engineered components including but not limited to laminated timber, MDF or partic­leboard. XL Clear Glazed white Primed Pattern 10 Door Codes - GWPP1012C - GWPP1024C - GWPP1027C - GWPP1030C - GWPP1033C - GWPP10726C - GWPP10826C - must be treated to XL Joinery instructions supplied. XL Pattern 10 Clear Glazed White Primed Doors have a copy of the manufacturers instructions included in the packaging. - We cannot exchange Glazed White Primed Pattern 10 Doors after order - XL Pattern 10 Clear Glazed White Primed Doors are supplied as a Special Order. We cannot exchange any XL Door once work has commenced; XL Joinery Pattern 10 Clear Glazed White Primed Doors are supplied as a Special Order. Carrier Delivery of XL Pattern 10 Glazed White Doors is not possible. E. & O.E. see T&C - We do try to keep Prices and Specifi­­cations of XL Pattern 10 Glazed Doors correct, but mistakes can be made! Please let us know if you do spot any errors - thanks.